Suzanna M. Zick, N.D., M.P.H., research associate professor, and colleagues published a new study in the journal JNCI Cancer Spectrum that finds thatacupressure could be a low-cost, at-home solution to a suite of persistent side effects that linger after breast cancer treatment ends--including depression, anxiety, pain, and sleep quality. 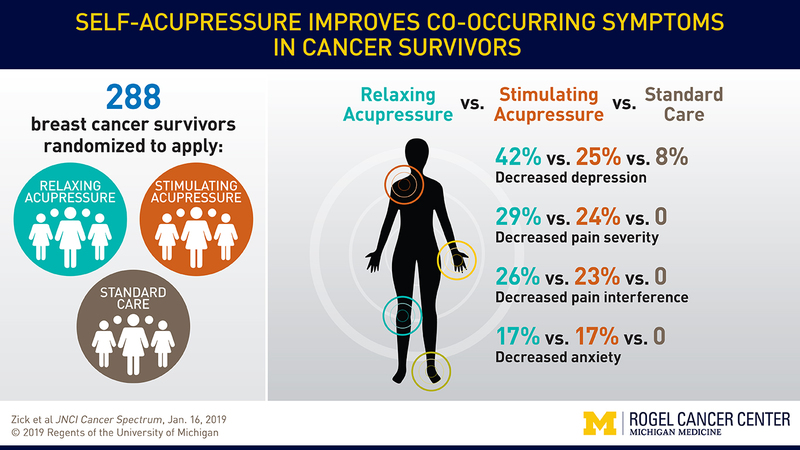 The study provides new analysis using data gathered from Zick's 2016 randomized controlled trial with breast cancer survivors, which previously found that acupressure helped reduce fatigue. Those findings were published in JAMA Oncology. In their new study, Zick's team looked at the impact of acupressure on symptoms that frequently accompany fatigue in this population: chronic pain, anxiety, depression and poor sleep. They found acupressure improved all of these symptoms compared with standard care. “It was actually unusual for a woman to have just fatigue. These long-term side effects are a big problem. For some women, they are significant barriers in their life,” says Zick.  Read the original press release from Nicole Fawcett on the Michigan Medicine Health Lab Blog. Article Citation: Zick SM, Sen A, Hassett AL, et al. Impact of Self-Acupressure on Co-Occurring Symptoms in Cancer Survivors. JNCI Cancer Spectrum. 2019;2(4). doi:10.1093/jncics/pky064. Browse the latest research on Integrative & Complementary Medicine or Cancer Prevention and Screenings from the department of family medicine.